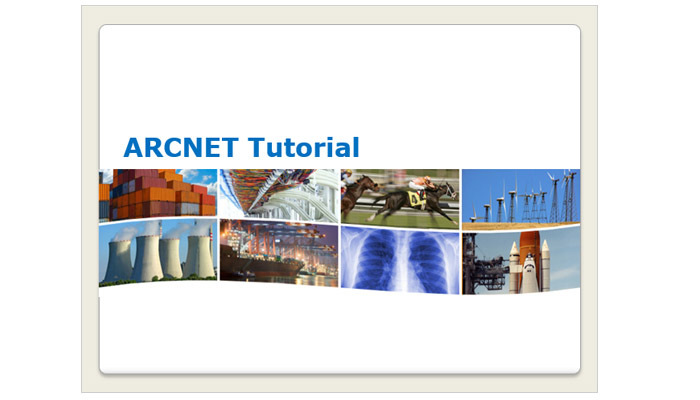 The ARCNET Tutorial PowerPoint Slide Show provides an introduction to the basic concepts of ARCNET. 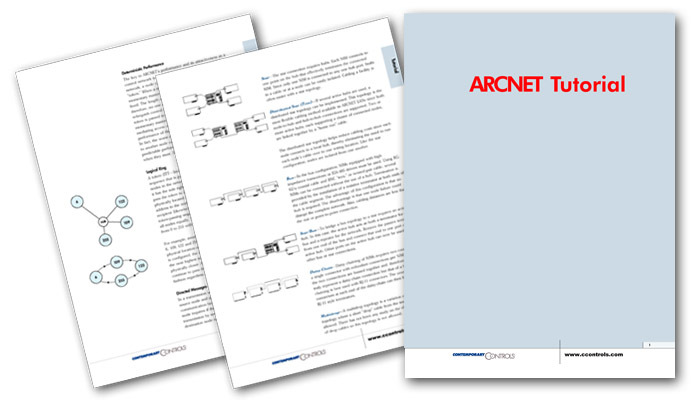 The ARCNET Tutorial PDF, provided by Contemporary Controls, provides an in-depth technical analysis of ARCNET. 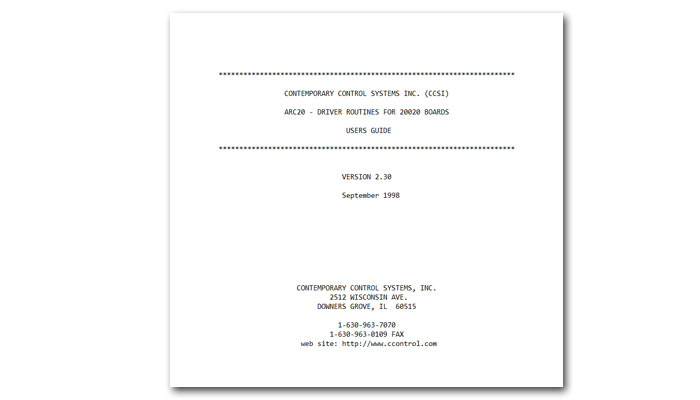 Arc20 is a set of DOS functions, written in C, which can be used to initialize a COM20020 and send/receive ARCNET messages using the COM20020. This code can also be used on COM20022 based products with minimal changes. This code can also act as the start of a COM20020 or COM20022 driver. 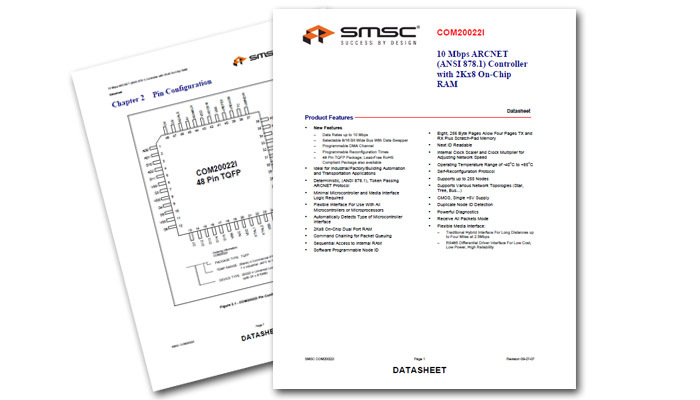 The COM20020 (Universal Local Area Network Controller with Microcontroller Interface and 2K X 8 RAM On Chip) Data Sheet is provided free-of-charge from Standard Microsystems Corporation (SMSC). 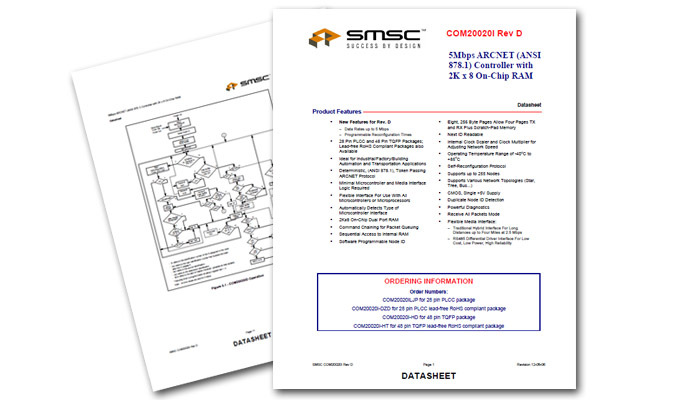 The COM20022 (10 Mbps ARCNET Controller with 2K x 8 On-Board RAM) Data Sheet is provided free-of-charge from Standard Microsystems Corporation (SMSC).